Grow The Outdoors movie night at Patagonia Bowery. Please join us for a screening of the documentary, "Saving Jamaica Bay," followed by a discussion about the film, what's currently happening in the area, and most importantly - what we can do. Special guests for the Q&A will be Don Riepe (from the film) and students from the Rockaway Waterfront Alliance. Doors at 7:30PM and we'll have drinks from our friends at Rockaway Brewing Company and delicious solar-popped popcorn by BjornQorn. Hope to see you there! Saving Jamaica Bay tells the story of how one community fought government inaction and overcame Hurricane Sandy to clean up and restore the largest open space in New York City, which had become a dumping ground for garbage, sewage and bullet-riddled mobsters. 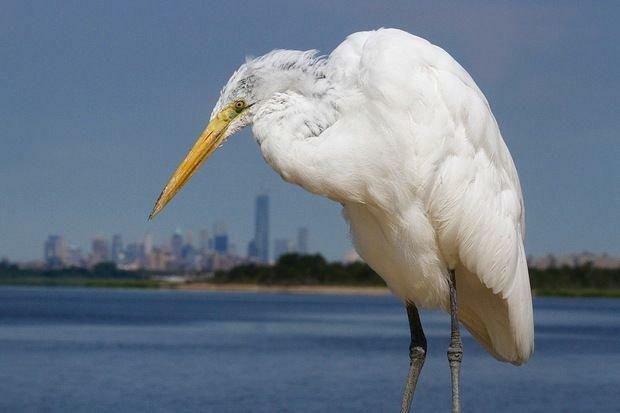 Narrated by Academy-Award winning actress Susan Sarandon, Saving Jamaica Bay underscores the importance of citizen action and the role of urban nature in protecting our cities from the effects of climate change. At Patagonia, we're in business to save our home planet. Through business, our investments, our voice, and our friends, we are looking to support and elevate as many environmental activists as possible. That's why we're kicking off a new series, Grow The Outdoors, in our New York City stores. The event series looks to expand and support all the nature warriors out there (and hopefully inspire a few new ones!) by bolstering diversity and inclusion in the outdoors. Join us for one of these events (list below), lend your voice to help to turn the tide on climate change, and help move the conversation forward—together. Want to get involved? Reach out if you or your organization wants more information on the Grow The Outdoors series.